← B-E-S-T engagement photo… Evah! April Fools Day is over and traveling thru (a small part) of Tejon Ranch was a great way to spend it. 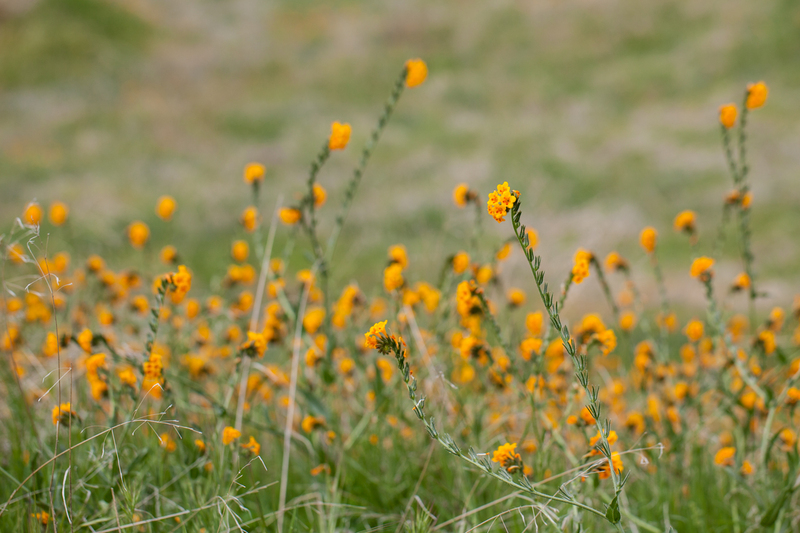 The Tejon area was flush with extensive swaths of fiddleneck (Amsinckia eastwoodiae) coloring the hills orange. Truly, this may be the best display of fiddleneck I’ve ever seen. Tejon Ranch is uniquely placed at the intersection of the San Joaquin valley, the Sierra Nevada foothills, the Tehachapi mountains, and the Mojave desert. It brings together high altitude and low, wet and dry, and of course provides an intact corridor for species who may utilize a number of different ecoregions. We’re very lucky to be working towards conserving this invaluable landscape with the help and leadership of the Tejon Ranch Conservancy who has helped fortify important landowner relationships while helping understand the extremely unique ecology of the area. If all goes as planned, this one conservation effort will help protect nearly one quarter of one million acres! Wow! 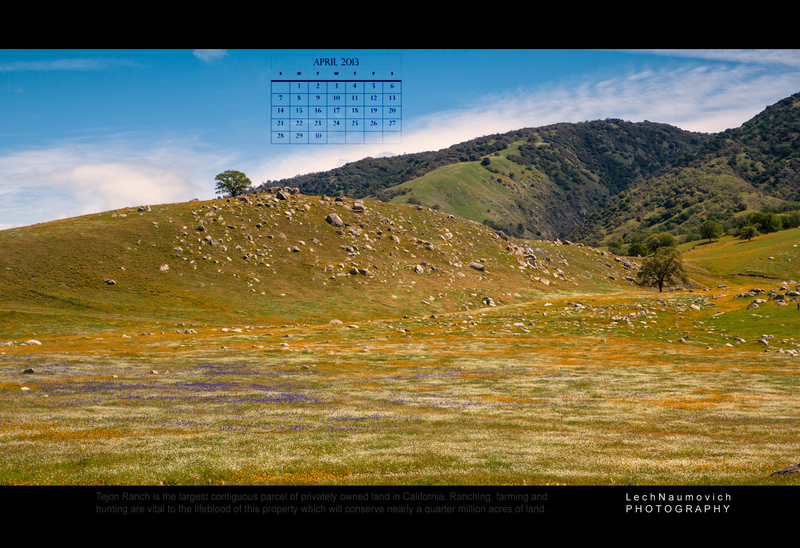 Here’s my desktop calendar April – free for all who want to use it as a calendar. This post has been awarded the Ashlee Craft Awesome Post Award. It has been reblogged to the home of this award, bestwordpressposts.wordpress.com. I really love the photos, particularly the photo of the orange flowers towards the top! 🙂 Have a fantastic day! Thanks Ashlee. The fiddleneck is really going off down there in the Tehachapis! It’s a great time to go for wildfower displays.